Make deposit using Neteller or QuickTender and get 15% more to your 200% match bonus. This bonus is available for a minimum deposit of $21. 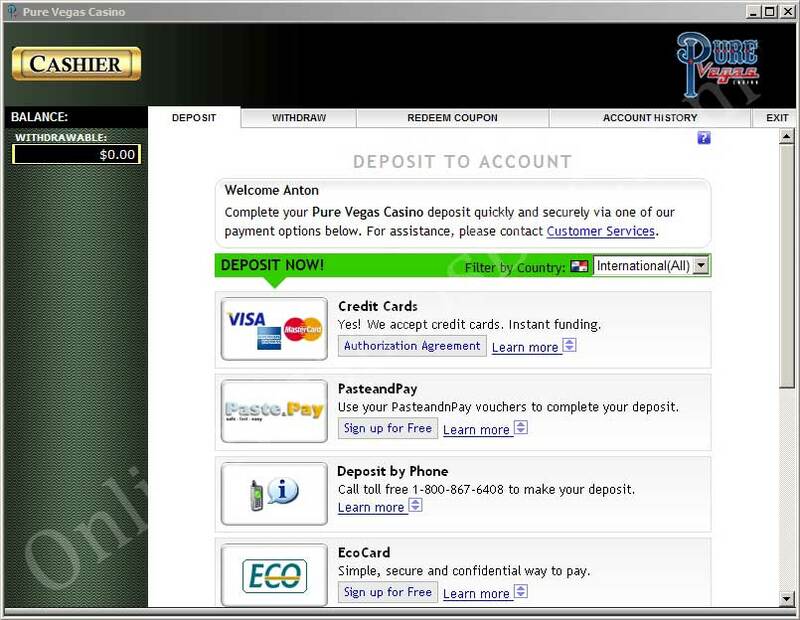 The wagering requirement is 30 times deposit plus bonus. Any bets placed on Blackjack, Perfect Pairs, Texas Holdem Bonus Poker, or Multi Hand Video Poker will contribute one quarter of their original value towards wagering requirements. Bets placed on Roulette, Craps, Baccarat and Paigow Poker do not fulfill player's obligations towards wagering requirements. Special 100% bonus up to $500 is redeemable 10 times. This Bonus is a Play Bonus which means that the bonus credits can't be cashed out, only the winnings from this bonus. 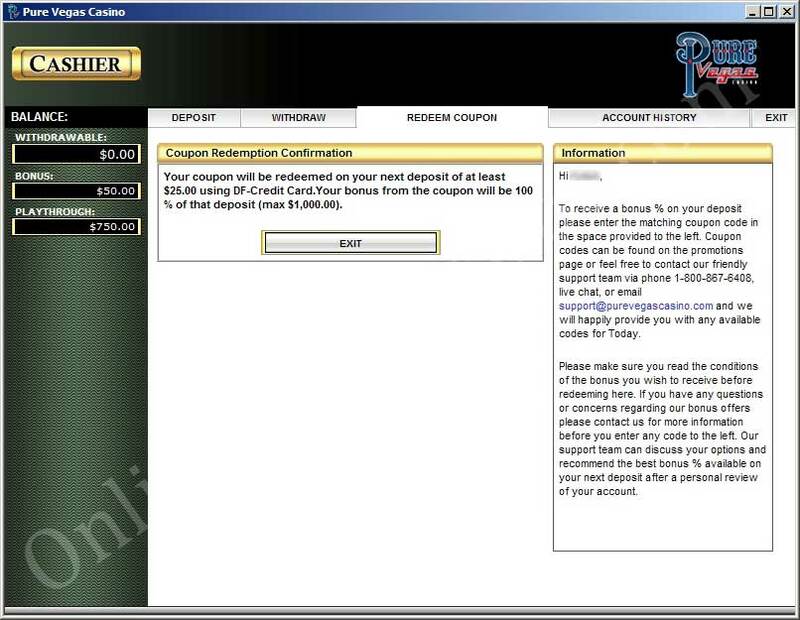 Players must meet the wagering requirements of 25 times before cash-outs. The bets placed on Blackjack, Perfect Pairs, Texas Holdem Bonus Poker, Multi Hand Video Poker will contribute one quarter of their original value towards wagering requirements (meaning that the sum of bets placed on these games is divided by four when calculating wagering). Slots Bonus is valid for first time depositors only and minimum deposit amount of $21. This offer is available only for bets on slots, Real Series Video Slots, Bonus Bingo, European Slot Poker, keno and scratch cards. Other restricted games do not count towards the wagering requirements. Players are asked to wager the bonus and deposit amounts 25 times before making any cash-outs. Only bets placed on slots, keno and scratch cards will count towards the wagering requirements. 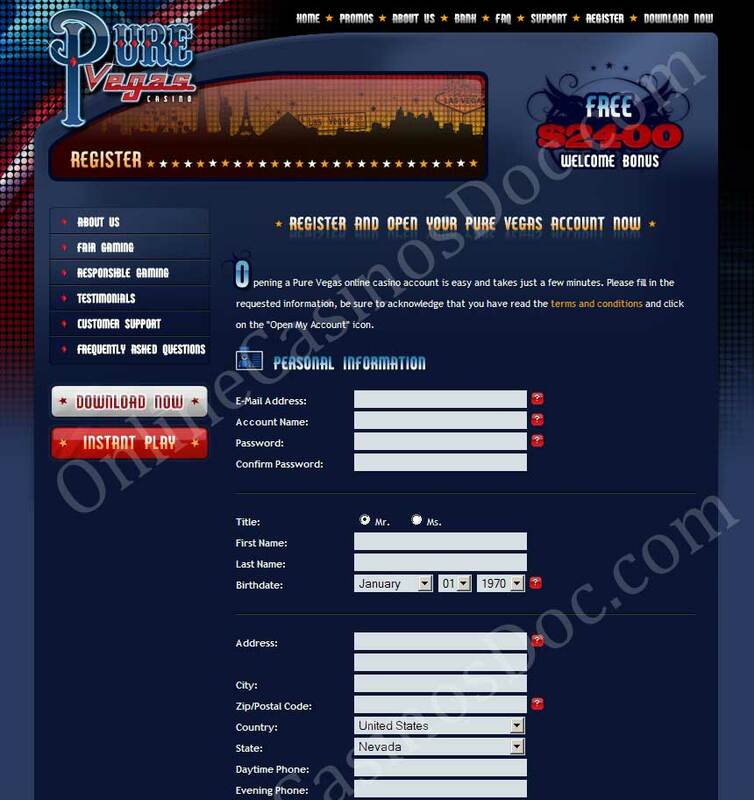 For 1st deposit at Win Palace get 100% match bonus up to $500. This bonus can be redeemed 10 times. Players are asked to fulfill the wagering requirements (to wager the bonus and deposit amounts 25 times) before making withdrawals. Video Poker bonus is a Play Bonus. Only the winnings from the bonus money can be cashed out, but not the bonus itself. Get 200% match bonus up to $2000 free for High Roller game. To qualify for High Roller bonus the players are to make deposit of a minimum $750. Before the cash-outs the players are asked to meet the wagering requirements of thirty times - to wager the bonus and deposit sums 30 times and only then withdraw the winnings. Any bets on Pai Gow Poker, Sic Bo, Bingo, Poker, Roulette, Craps and Baccarat do not count towards the wagering requirements. All weekly bonuses can be redeemed 10 times. To withdraw any winnings the players are to wage the bonus and deposit amounts 30 times. Weekly bonuses are void for Roulette, Craps, Baccarat, Pai Gow Poker, Sic Bo, Bingo and Poker. Any bets on Blackjack, Video Poker, Multi Hand Video Poker, Perfect Pairs and Texas Holdem Bonus Poker will contribute $0.25 of the original value (worth $1) towards the wagering requirements. The special offers and bonus conditions of the week can be changed by the casino. 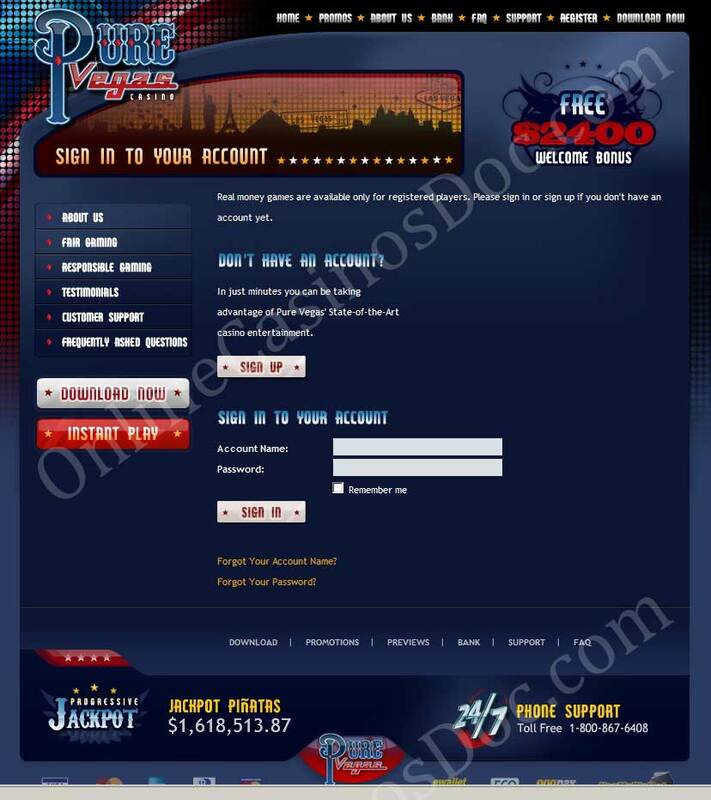 If you want to claim any of the bonuses offered above, you need to register a personal account at Win Palace Casino. You can do this either directly from the site or through downloaded version of the casino. Note that you have to choose to play for Real Money but if you have a Fun account, it'll work but you will have to go through Customer Registration for the Cashier. 1. Having registered an account, you need to Log in entering your account name and password assigned to you after the registration and choose to Play for Money. 2. Select the Cashier and choose the payment method to make a deposit. Follow the procedure laid out. After the notification that the deposit was successful, return to Cashier. 3. Choose the tab Redeem Coupon and enter the Coupon Code (specified in the description block of the Bonus you are interested in) in Coupon Code box and Bonus will be automatically credited to your account. 4. In the left block you can see the amount of your bonus (in fact the sum shown in the Bonus box is a sum of your deposit and bonus). Win Palace doesn't have a separate Bonus Account like some other casinos and the bonus money is credited to your general account.